Neighbors and families are welcome to join in a small celebration. Come eat apples, apple crisp and apple related snacks and beverages. 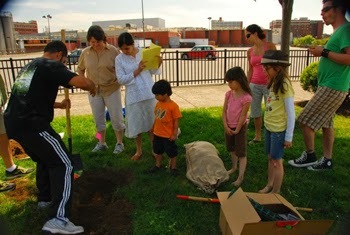 The two apple trees were donated by The Boston Tree Party and planted by Fort Point residents and the FPNA (Fort Point Neighborhood Association). More details. We’ll take some pictures to record how the trees-and the kids have grown!